Ivy City brewery Atlas Brew Works is proud to partner with Washington DC’s Comic Con Awesome Con debuting Hop Bot, a limited-release pale ale canned exclusively for the convention and available for purchase at local restaurants on Monday, April 22, and the brewery’s Tap Room starting Friday, April 26, while supplies last. DARK PHOENIX | Final Trailer Released | In Theaters June 7! When she loses control, bad things happen. 20th Century Fox has released the final trailer for DARK PHOENIX. To honor the passion of X-Men superfans, some of the biggest X-Men fans around the world were selected to experience the final trailer first. Now that they have received it, we can share it with you! Full Cast Announced for Hello, Dolly! Betty Buckley. Hello, Dolly! begins performances at the Kennedy Center Opera House on June 4, 2019 and plays through July 7, 2019. Tickets, currently on sale, are available in person at the Kennedy Center box office, by visiting www.kennedy-center.org, or by calling 467-4600 or (800) 444-1324. 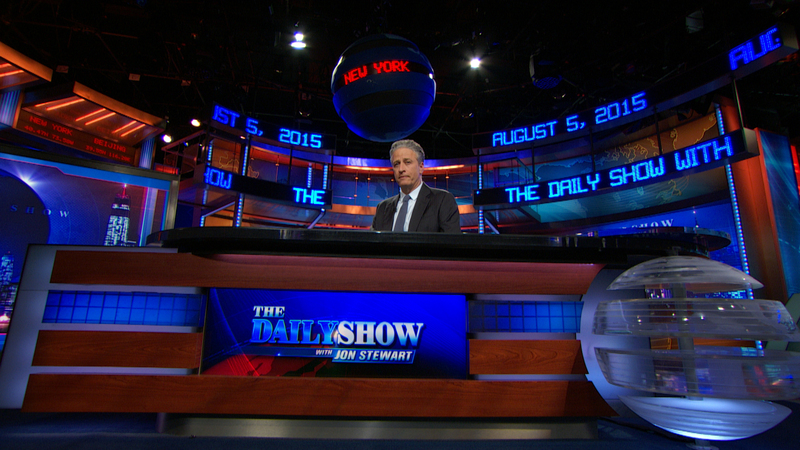 “Seriously Funny: From the Desk of ‘The Daily Show with Jon Stewart'” opens June 21! On June 21, 2019, the Newseum will unveil a new exhibit, “Seriously Funny: From the Desk of ‘The Daily Show with Jon Stewart. '” The exhibit will explore the impact Comedy Central’s “The Daily Show with Jon Stewart” had on American politics and the press through four presidential campaigns, two wars and the terrorist attacks of Sept. 11, 2001. Ally Theatre Company presents Welcome to Sis’s a new play by Doug Robinson and directed by Angelisa Gillyard which will play for one weekend only at Joe’s Movement Emporium in Mount Rainier, MD. Welcome to Sis’s is the culmination of Ally Theatre Company’s contribution to the Mapping Racism Project whose mission to reveal the hidden architecture of segregation in Prince George’s County is done in part through examining and exposing the use of restrictive deed covenants in the creation of new housing. Arena Stage at the Mead Center for American Theater announces the full company of Ann, Emmy Award-winning actress Holland Taylor’s (The Practice, Two and a Half Men) intimate, hilarious production based on the colorful and complex life of former Texas Governor Ann Richards. “Frank, funny and warm” (New York Times), Ann is a captivating tribute to Richards’ life as an activist, politician, and feminist champion. This one-woman play takes a revealing look at the impassioned woman who enriched the lives of her followers, friends and family. Directed by Kristen van Ginhoven, Ann is a co-production with Dallas Theater Center and runs July 11 – August 11, 2019 in the Kreeger Theater and October 15 – November 10 in Dallas. Your favorite princesses are back in an all new feature length musical adventure! Princess Odette is hosting a music competition to celebrate Princess Alise’s birthday – the winner will sing at her grand birthday ball! Prince Li of Cathay has entered, but his sister Princess Mei Li has stowed away on his ship to seek help from Odette and Derrick for Chen, who has been cursed to live as a dragon. Lucas and Alise are reunited but Prince Li’s arrival makes Alise doubt her feelings. While Li and Lucas fight for Alise’s heart, Derek and Odette try to help Mei Li and Chen break the curse. Who will win the music festival and will Chen ever be free from his curse? THE SWAN PRINCESS: KINGDOM OF MUSIC, the ninth installment of the beloved animated film series, is coming soon from Sony Pictures Home Entertainment. The Smithsonian’s National Museum of African American History and Culture has partnered with Smithsonian Books to release A Is for All the Things You Are: A Joyful ABC Book. The alphabet board book was created to help children develop healthy racial identities and to find joy in diversity and inclusion. On Friday, April 12, 2019, Social Art and Culture and Think Local First DC in partnership with We Act Radio, present the Creative Entrepreneur Capital Summit. The Creative Entrepreneur Capital Summit is a one-day four-panel workshop with experts in business, pitching, creative capital, and entrepreneurship. The Creative Entrepreneur Capital Summit serves to educate the DMV creative economy on the concepts of social change and profitability. Two world-renowned television programs produced for PBS, the NATIONAL MEMORIAL DAY CONCERT and A CAPITOL FOURTH, both won Silver World Medals at this year’s New York Festivals® International TV & Film Awards honoring the World’s Best TV & Films℠. Both programs were produced by Capital Concerts with Michael Colbert serving as Executive Producer.